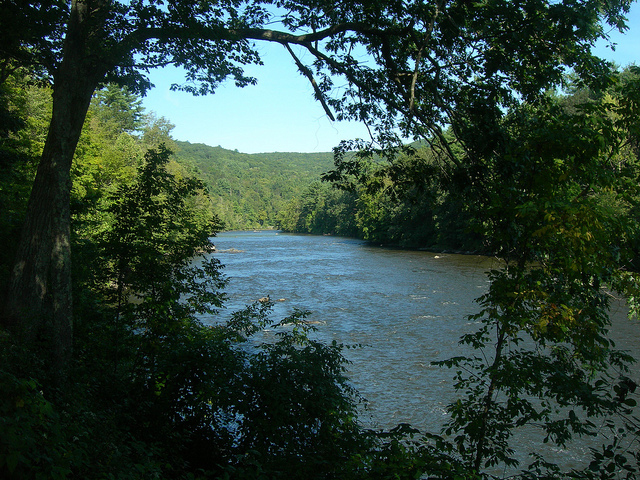 The Housatonic River from Housatonic Meadows State Park near Cornwall Bridge, CT; photo by Jimmy Emerson, DVM on Flickr (noncommercial use permitted with attribution / no derivative works). Windsor soil has been proposed as the official representative soil of Connecticut. The largest landscapes of Windsor soils are in the northern Connecticut River Valley, but these soils are mapped throughout the state. Windsor soils cover 34,000 acres in Connecticut and are important for fruit and vegetable crops, and ornamental shrubs and trees. They are also well suited for commercial and residential development, as well as a source for construction material.